Here's the third in the new Latma series, We'll be the Judge... which appears on Israeli television, Chanel 1! Blatant American Interference in Israeli Elections!! Unlike many, I've never seen the United States governments, especially the State Department, as a true friend of the State of Israel. Secretary of State John Kerry told a House panel Wednesday that Israeli Prime Minister Benjamin Netanyahu's judgment on talks with Iran "may not be correct." I remember very well the diplomatic isolation which Israel suffered during the days leading to the 1967 Six Days War. I remember too well that the United Nations immediately acceded to Egypt's demands that it remove its "peacekeeping" sic forces from the Suez Canal and the silence of the American officials. It was only after Israel's victory that the United States became friendly, but the State Department was always cold at best. I also remember the totally mean and antagonistic statements from Bush the Elder's administration towards Israel. Some Presidents liked Israel more than others, but true allies they never were. Nixon had dreams of Israel begging for help and becoming a sort of protectorate. He and Kissenger were "helping," both Israel and Egypt during the 1973 Yom Kippur War and had expected a draw where they would be the power to keep the peace. Israel's victory was not their hope. So now, the Israeli Labor-Livni post-Zionist party is campaigning that Israelis should vote for them, because they know how to keep the United States happy. And the Americans are saying that Bibi has made mistakes and doesn't know all that much. Obama administration on the offensive against "incorrect," "destructive" prime minister. Obama loves to blame others, and now all the blame is on Prime Minister Binyamin Netanyahu. 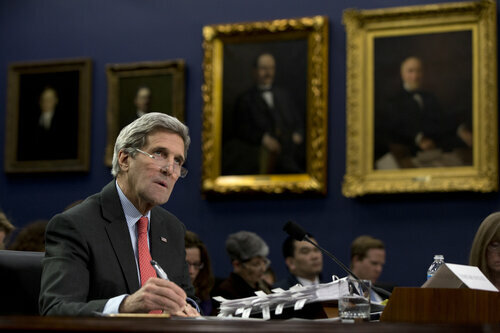 "He may have a judgment that just may not be correct here," Kerry said at an appearance before a House panel. Kerry, while a U.S. senator, voted for the war in Iraq. Netanyahu is a staunch opponent of talks with Iran, which Israel views as an existential threat. If The P.A. Doesn't Pay Bills, Let Them Sit in The Dark! In all the modern western world if somebody doesn't pay his/her electric bill the current is turned off! Nu, so why should anyone have sympathy for the international cheats and parasites aka the Palestinian Authority? 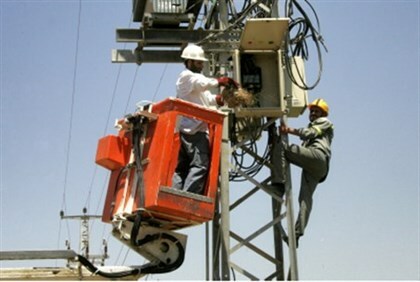 Electric Company Continues Power Cuts to PA Over DebtStill seeking to collect a $500 million debt, the Israel Electric Corporation limited the electricity flow to Shechem and Jenin. I'm glad that there's now pressure on them to pay up and their lights are being turned off. Ever since they had been invented those Arabs who are now called "Palestinians" have been immune from the usual civil responsibilities. That to me is just further proof that they aren't really a nascent state sic or whatever the world likes to call them. NYC Jurors Make The P.A. Pay!! My neighbors, whose son was very seriously injured in an Arab terror attack during what's known as "the second intifada," were among the witnesses at the trial against the Palestinian Authority to demand compensation. These neighbors do not normally travel out of Israel. They only go for pikuash nefesh, life-saving reasons, such as when another child needed medical care that required a certain American hospital. Since then they hadn't returned. That is until this trial, when their son was one of the . When they came back after testifying we discussed the American judicial system. The idea of a jury, non-professionals, ordinary people who have the fate of this law suit in their hands made us all very nervous. For us the situation is so clear, and we hoped that the jurors understood that the P. A. financially supports terrorists, besides approving the murderous acts would be accepted as legal responsibility by those twelve. Thank G-d, the jurors were open-minded enough to declare the Palestinian Authority as responsible for terrorism against Israelis (and tourists etc.) I hope that the American Government and State Department will change its tune, but that is probably impossible. The attacks occurred during the Second Intifada, the 2000-2005 uprising in which nearly 800 civilians were killed in terror attacks carried out by Palestinian militant groups. Nobody is in this for the money. The money will be used for more trials to prove that the Palestinian Authority and murderous terrorism are synonyms. In recent months JewishIsrael has established a more active Facebook presence. 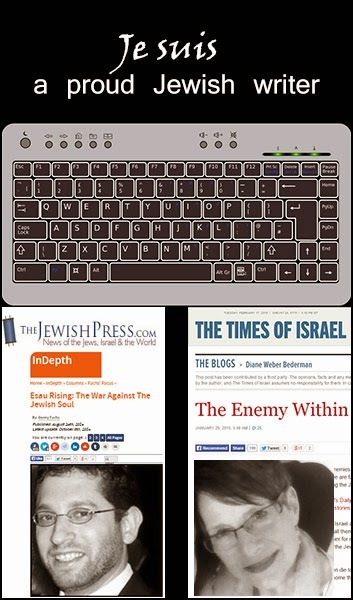 JewishIsrael continues to meet privately with Jewish leadership and to issue in-depth online reports in both Hebrew and English.JewishIsrael urges the online public to become aware of the growing crisis and insist upon Jewish leaders to take a firm stand on behalf of Judaism and the integrity of the Jewish people. Israeli Politicians, Real Military Heroes or What? Since yesterday late afternoon, Israeli media has been full of reports and pictures of Jerusalem Mayor Nir Barkat and security staff rescuing a victim of a terrorist stabbing just near his office. 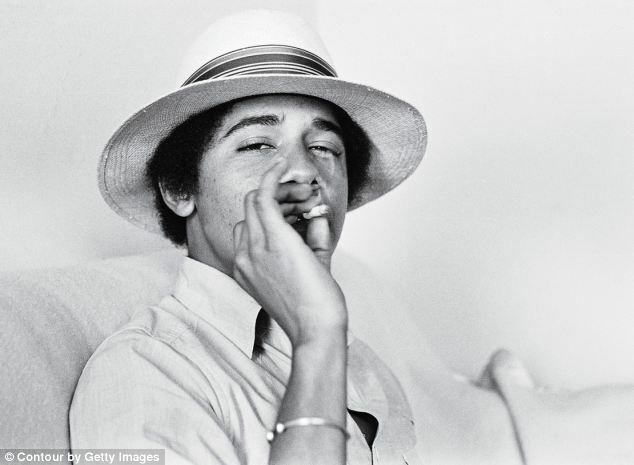 Unlike American President Barack Hussein Obama, who spent his late adolescence in a haze of pot smoke, Bibi Netanyahu, Naftali Bennett and Nir Barkat were busy on the front-line and enemy territory in defense of the State of Israel. In Israel, army service forms great lasting friendships. 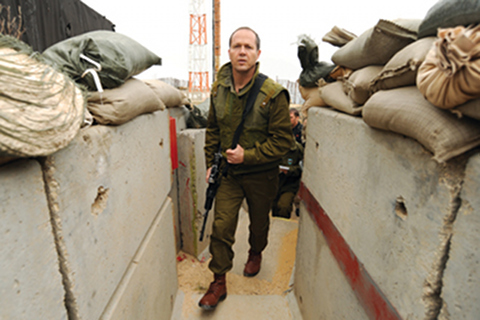 In units like the ones Netanyahu, Barkat and Bennett served, one counted on one's fellow soldiers in life-threatening situations. Actually, not only in a personal sense but for the security of the entire State of Israel. 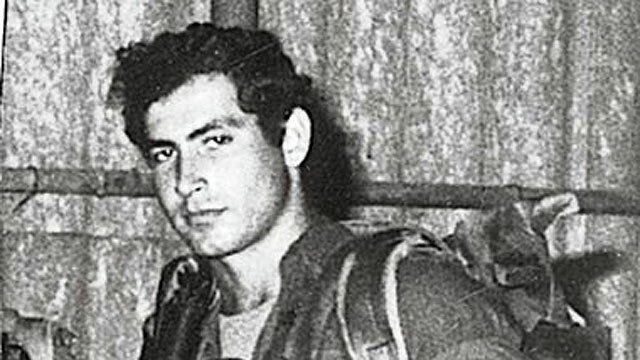 Leftist leaders, Isaac (Bouji) Herzog and Yair Lapid had safe desk jobs, Intelligence and Journalism in the IDF. Think about it. With whom would you like to trust your life and country? Ze'ev Jabotinsky the founder of Betar and Revisionist Zionism was a great writer and speaker and multi-linguist. If he was alive today, he's probably adore the possibilities of the internet and social media. No doubt he'd blog in a multitude of languages. Jabo would also have a busy youtube account. The New Latma with English-Subtitles, Enjoy!! Thanks to Caroline Glick's Latma team for translating (subtitles) the new Latma, the Right Israeli satirical show, which now appears on Chanel One every week. It's longer than the old Latma and has mostly different actors. Latma is otherwise still the Latma we knew and loved when it was an "unofficial program," developed by Glick. Caroline Glick is definitely one of, if not the best political thinkers on the scene today. Her Jerusalem Post op-eds are unbeatable. Here's her latest that has more truth than the rest of the newspaper. Secretary of State John Kerry made clear the administration’s desire to topple Netanyahu last spring during his remarks before the Trilateral Commission. It was during that memorable speech that Kerry libeled Israel, claiming that we would automatically and naturally become an apartheid state if we don’t give Jerusalem and Judea and Samaria to the PLO, Jew free, as quickly as possible. Shortly after Kerry gave his Israel apartheid speech, his Middle East mediator Martin Indyk attacked Israel and the character of the Israeli people in an astounding interview toYediot Aharonot.Among other things, Indyk hinted that to force Israel to make concessions demanded by the PLO, the Palestinians may need to launch another terror war. This year's Israeli Elections seems to be fought in the media, the social media, especially facebook, even in English. There was a time, not that long ago, when Israelis waited nightly during campaign season for the television broadcasts of election campaign movies. There was a complicated system allocating certain amounts of minutes per party depending on if they were already in the Knesset, how many seats and if they were just challenging from the outside. Now the movies are on youtube, facebook and all over. The Likud just came out with a great one, teaching Israelis some history. Today's Labor Party, founded by David Ben-Gurion the first Prime Minister, has been claiming that Bibi Netanyahu is ruining relations with the United States. So the Likud has countered with a history lesson reminding everyone that in 1948 the United States State Department opposed the Declaration of the State of Israel. But Ben-Gurion defied the Americans and established the state. As soon as I can get the code, I'll post it. Honestly, it's not only us Anglos who are searching for wisdom in deciding whom to vote for this time around. A few months ago, the Israeli media was pushing for new elections, dreaming of a Leftist future in its image, but even they have been heard to say that the polls are showing that there's nothing new in the horizon. Last elections were only two years ago, and there hasn't been a big demographic change. So, whom should we all vote for? "How do we choose a party?" "There's no party with only good candidates!" "This isn't like England or ...."
This coming Wednesday evening there's just the event for you to attend, The Anglo Vote! Israel is a small country, and we all vote for the same party lists no matter where we live. The three main issues here are security, economy and religion. I would like to know in what order the parties (candidates) would list these issues. I would like to know their position re: "two state solution"
I would like to know if in the coalition there are any issues that would make them leave. Principles, anyone?! And of course, there's the "S" Word, SOVEREIGNTY! I want all of Judea, Samaria and the Jordan Valley to be officially Israel! There's a landmark trial going on in New York against the Palestinian Authority, which is being charged as responsible for the terrorism which has resulted in the death and injuries of many innocent Israelis and visitors. At issue are several Palestinian attacks between 2001 and 2004 targeting civilians, including a bombing at a packed cafeteria at Jerusalem's Hebrew University, as well as suicide bombings and shootings on busy streets. Nitsana Darshan-Leitner of the Israel-based Shurat HaDin Law Center, a lawyer who is representing the victims' families, said "it will definitely have an impact" on the Palestinians' image, saying the case is "full of evidence" that Palestinian Authority security men helped plan or carry out the attacks. "Those involved in the attacks still receive salaries from the Palestinian Authority and still get promoted in rank while in jail," she said. Families of suicide bombers receive monthly salaries from a Palestinian "martyr's foundation," she said. Coming only months after the September 23 verdict against Jordan’s Arab Bank for terrorism financing, a win against the PA would signal a clear, more plaintiff-friendly playing field for filing US terrorism cases, despite years without a high-profile victory...Represented by Shurat Hadin – Israel Law Center and Kent Yalowitz of Arnold & Porter, the plaintiffs’ central points are that a significant number of PA employees, including numerous policemen and commanders, have been arrested and convicted by Israel as having organized, planned and perpetrated suicide bombings and shootings against Americans in Israel, including the six attacks from 2001-2004 in the case during the second intifada. They said that the terrorists, many convicted in Israel’s military West Bank courts, continue to get salaries and stipends from the PA despite the fact that they are sitting in Israeli jails for murder, attempted murder and membership of terrorist organizations. Next, they presented evidence that these convicted terrorists receive regular promotions in rank from the PA as they sit in jail. Neighbors of mine are among those Israelis who have had to travel to New York to testify in the trial. They are not public people by nature, but they feel it their duty to talk about the permanent results, disabilities their son now suffers, even though to look at him, fully dressed one doesn't see anything wrong. His body is full of scars and internal injuries. Also his vision has been seriously damaged. And they are the lucky ones. Other neighbors' son was murdered in the same attack, and the granddaughter of others was murdered, too. It's no secret that security prisoners and their families get a special pension from the Palestinian Authority, which shows its support for terrorism against Jews/Israelis. In the New York Times article I quoted yesterday Arabs admit that the income is a reason they try to get arrested. ...the all-but-inevitable time behind bars as worth it, given that it comes with a monthly stipend the Palestinian Authority pays all its prisoners. I hope the New York jury is truly wise. We sometimes get the International New York Times, hard-copy. Today I read the most interesting article. It wasn't really new to me in a way. I work with Arabs in Yafiz-Rami Levy, Sha'ar Binyamin, and I understand very well how anxious the Arabs are to keep their jobs and not let their fellow Arabs know how much they enjoy working for Israelis and under Israeli working conditions. This article, Desperation Drives Gazans Over a Fence and Into Israeli Prisons, is about how Gazans, who are under Arab rule remember, prefer to escape and be jailed in Israel. For them an Israeli jail is like a fancy hotel, full-board. EL BUREIJ, Gaza Strip — It was not much of an escape. Moments after Ibrahim al-Awawda climbed over the nine-foot fence separating the Bureij refugee camp on Gaza’s eastern edge from Israel, he was surrounded by six Israeli soldiers. They arrested him, interrogated him and, after he spent a month in two Israeli prisons, sent him back to the poverty, death and destruction in Gaza that had led him to flee. Ibrahim is one of an increasing number of young Palestinians from Gaza who have been caught trying to cross into Israel in the nearly six months since the latest conflagration subsided. Though he carried nothing with him, others were armed with knives or grenades. The crossings have shaken residents on Israel’s side of the fence who are still psychologically scarred from the series of tunnel invasions by Palestinian militants that punctuated last summer’s conflict. But military officials and others see the growing phenomenon as less about terrorism than about desperation. Several fence jumpers, and human rights workers who track their cases, compared their despondency to that of the roughly 300 Gazans who died in a September shipwreck as they were being smuggled across the Mediterranean Sea: They just wanted out, no matter the risk. Some are shot in the process. Some are harassed upon their return by Hamas, the Islamist faction that dominates Gaza, as suspected collaborators with Israel. Still, many fantasize about finding work in Israel and see even the all-but-inevitable time behind bars as worth it, given that it comes with a monthly stipend the Palestinian Authority pays all its prisoners. Compared with Gaza, “the prison in Israel is like a five-star hotel,” said Youssef Abbas, 21, who did stints there after crossing the border in 2010 and 2008. He said he headed toward the fence twice more in September but was turned back, once by Gaza security forces and once by a call from his fiancée. The Israeli military said 84 Palestinians were arrested after hopping the fence from September to January, along with nine more in the first nine days of this month. The military would not provide comparable figures for the first half of 2014 or previous years, but it confirmed a report in the Israeli daily newspaper Haaretz that the prewar monthly average was 13, less than half the 27 arrested in November. Separately, the military announced last week that it had destroyed the Israeli side of a tunnel discovered during the summer fight with Hamas. For the Israelis living in the tiny communities near the barrier, reports of each illegal crossing are jittery reminders of last summer. At Kibbutz Sufa, about a mile from where 13 gunmen from Gaza emerged from a tunnel on July 17 — an episode that led to Israel’s ground invasion of Gaza — “people are reliving the fear,” said Eyal Brandeis, a longtime member of the 300-person kibbutz’s emergency team and a professor of political science at Bar-Ilan University. Rony Kissin, community manager of Kibbutz Kerem Shalom, just half a football field’s length from the fence, said that residents with permits were carrying their pistols more often than before. Children in the community are acting more violently, she said, and mothers are more worried. In Gaza, men who had crossed said Israeli security officials had questioned them, sometimes for hours, about whether Hamas or any other group had sent them, how they had planned their escape, what they intended to do in Israel and, broadly, what was happening back home in the war’s aftermath. When they returned to Gaza, they said, Hamas security officials questioned them, sometimes for hours, about what they had told the Israelis. Iyad al-Buzom, the spokesman for Gaza’s Interior Ministry, said it had taken “serious measures to prevent border sneaking” since the war and was considering “more harsh procedures and punishments to stop those who think of crossing the fence.” He said officials worried that crossers would be pressured into revealing information to Israeli intelligence upon their arrest, or be hurt as they tried to get to the other side. Data from the United Nations’ Office for the Coordination of Humanitarian Affairs show that Israeli soldiers killed six Palestinians near the fence in 2014, all but one before the war. That was double the number in 2013, but significantly fewer than the average of 22 annually in the previous four years. Thirty-nine Gaza residents were wounded by Israeli fire and tear gas from September through January, the data show, some while protesting or throwing stones, others while trying to cross. Looking back, Hasan and Salwa al-Zawara’a see plenty of signs that their 20-year-old son, Noor, was planning to cross before he disappeared Oct. 27 from their home in Johor al-Deek, a village next to the Bureij camp. Three days earlier, his mother recalled, Noor asked for a copy of his identity card. That morning, he changed clothes several times before settling on jeans and a black shirt. He had almost never had a decent night’s sleep since the war, his father said, and he had been asking a sister’s husband who had spent six years in Israeli prison what life was like there. Now he knows. The younger Mr. Zawara’a, who left school after 11th grade and worked occasionally harvesting olives or in construction, calls once a day from the jail in Beersheba where he is awaiting trial on Feb. 23 for entering Israel illegally. PS The Arabs who work with me are mostly under P.A. Palestinian Authority rule. They simultaneously treasure their jobs and fear that their fellow Arabs will hold them as under suspicion for being too cooperative. Although some do happily pose for pictures when I have my camera out, ouithers have begged me not to take their photos. "They'll kill me; you know who THEY are." Connecting Zoabi and Marzel Election Runs Outrageously Repugnant! I've been horrified at the connection of anti-Israel terrorist-apologizer Arab "politician" MK Hanin Zoabi's run for the Knesset with that of Baruch Marzel. Unfortunately the prevalent anti-Kach (Rabbi Meir Kahane) sentiment in the Leftist Israeli "Justice" sic system and media consider anyone who has ever supported Kahane to be a "danger," no matter how patriotic and law-abiding they are. Extremism from Jews on the Right is considered a "danger," while Arab extremism and support/understanding of anti-Jewish terror acts is excused as legitimate. "...but we don't invite anyone from Hamas either!" "Are you comparing us with the Arab terrorists who murdered my friend Rachella Druk, who's buried out here?" And I pointed in the direction of the cemetery. Since then we have been invited to the Jerusalem Consulate's annual July 4th reception, but I never received an apology from them. Which Poll is Right? Do the Americans Want Bibi's Talk in Congress or Not? Who's right? What do you think and why? Will there be a total shock when the votes are counted in the 2015, 5775 Israeli Knesset Elections? Will a party that hasn't been mentioned or offered or shown up in the polls get enough votes to sit in the Knesset? So, you are probably wondering, which party can shock the polls? It's the new Chareidi women's party, which is a revolution. That's what they say. Chareidi Women Making Changes. I'ts not just a matter of chareidi women who can put these women in the Knesset. If people see this as a protest vote, their support can come from all over. If you listen to what they are saying, you'll discover that they are the true Social Justice party, not the upper middle class and wealth Leftist parties that label themselves as such but don't really understand how the majority, the poor people struggle and suffer. "They complain of the price of gas (for a car) when we're worried about the price of public transportation." Now, will they surprise us all? 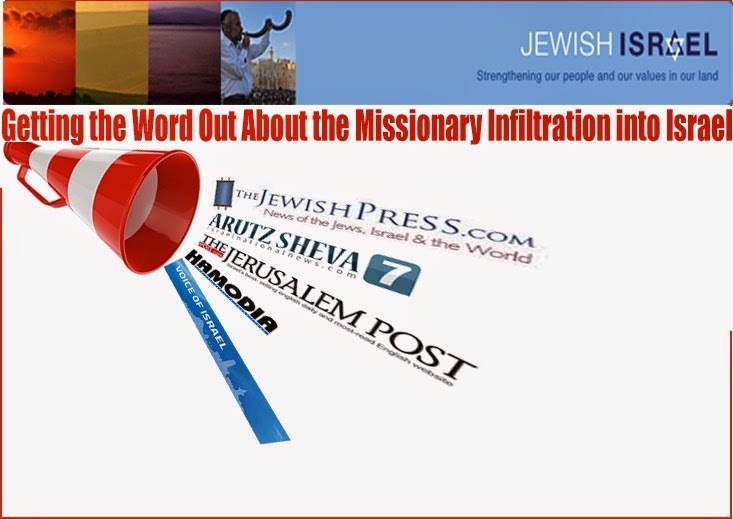 JewishIsrael is pleased to see that a growing number of concerned columnists across the religious and political divide are covering the severity of the missionary problem in Israel. Sacrificing principles which are fundamental to Judaism, Jewish identity and Jewish continuity should not be done in the name of "democracy", "tolerance" or" freedom of religion and expression". This is an issue all Jews can agree on regardless of political views or degree of religious observance. Vive la Différence, Today versus 1930's in Europe! As awful as the present antisemitism in Europe is, there is an extremely crucial and reassuring difference between now and the 1930's when the Nazis rose to power and began their systematic destruction of Jewish life in Europe. I think that it is very important to point this out. We all know that the world, Europe, Britain and the Americas sat by silently, complicitly as the Nazis began their first discrimination which escalated to the Holocaust, the murder of six million Jews and millions of others. There are two major differences today. Today's antisemitism/terrorism against Jews is privately instigated. It's not government policy. Today the governments feel necessity to condemn anti-Jewish acts, especially when they result in murder. Finally, in Europe at least it is no longer "PC," politically correct to condone or ignore the murder of Jews. The United States Obama Government still refuses to admit that the Muslims are intentionally terrorizing and murdering Jews for antisemitic ideology. This is something the American public must correct and vote in a better more moral president. I'm not saying that things are perfect. Remember that the French Government tried to keep Prime Minister Binyamin Netanyahu from attending the anti-terrorism rally, and they are trying to convince French Jewry to stay and not emigrate to Israel. The French Prime Minister Manuel Valls has called on Jews to not heed the call of Benjamin Netanyahu to leave Europe and resettle in Israel, but his comments have come against a background of extreme violence and anti-Semitic attacks. Just the fact that the French Government is saying something is a great improvement over the Vichy Government... And the Danish Government has been verbally upset by the antisemitic terror attack. On Being Treated Like Some "Foreign Alien"
Call this a rant or call this a plea, but please listen, comment and share, thanks. I moved far across the ocean with my husband almost forty-five, 45, years ago to live as a Jew in the Jewish Homeland, the State of Israel. We never saw the 1949 Ceasefire Lines as holy, certainly no holier than the locations depicted in the Bible where our Jewish Religion/People/Culture/Nation etc was formed and developed. Anyone with even a minimal knowledge of the Bible, the first Jewish History Book, or any collection of atlases can attest to the fact that borders change, usually due to wars. The winner becomes the ruler of whatever land its army holds. Why should the 1967 Six Days War be considered any different? But for some horrible malignant to the unity of the Jewish People reason, there are many who consider us, those Jews, Israelis who live in the Land of Israel liberated by the IDF, and G-d's miracles, in 1967 to be some foreign alien "other." The other day I caught an Israeli Television news talk show and was horrified to hear how the "panel" referred to me and my neighbors as if we're some unwanted foreign enemy. They're perfectly happy to take our blood donations from the Magen David Adom Blood Bank, and they don't mind that our sons and daughters volunteer and even excel in the most dangerous and difficult IDF Israeli Army units in disproportionate numbers. They accept, as if their entitlement that our non-military serving kids contribute their time and energies in development towns and hospitals. They don't mind being on the receiving end of what we contribute to Israel society. "I'm one of those people. Do I look or seem different from you? How can you refer to me, as if I'm a strange enemy alien?" But I didn't get up. I said nothing but was very upset and left the room with friends. We are all part of the Jewish Nation/People/Religion, and unity is the secret of our survival. If you look at Jewish Prayers, there's something very important to notice. Our prayers are in plural. And that is to remind us that we're not alone; our fates are totally entwined. May G-d give us the wisdom and strength to tear down the barriers that separate us and allow us to function as one united and strong People. When terrorists shoot synagogues, only the truly antisemitic can describe the attacks as random. 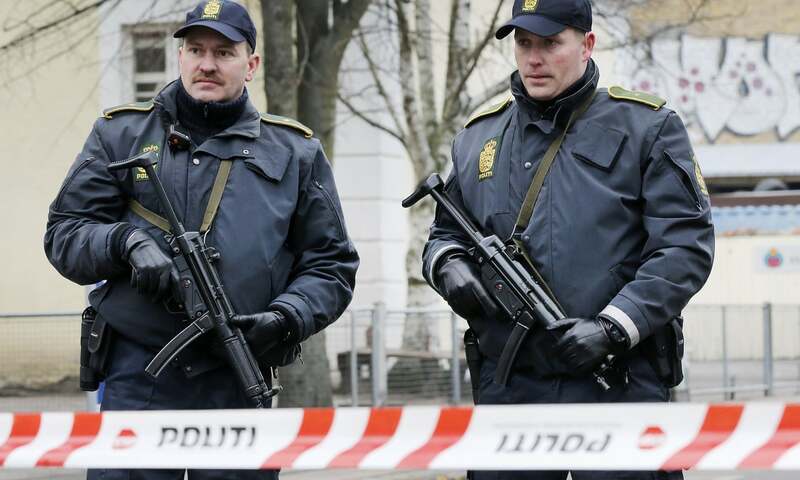 This morning's news is of terror attacks in frosty Copenhagen; two dead at last count. 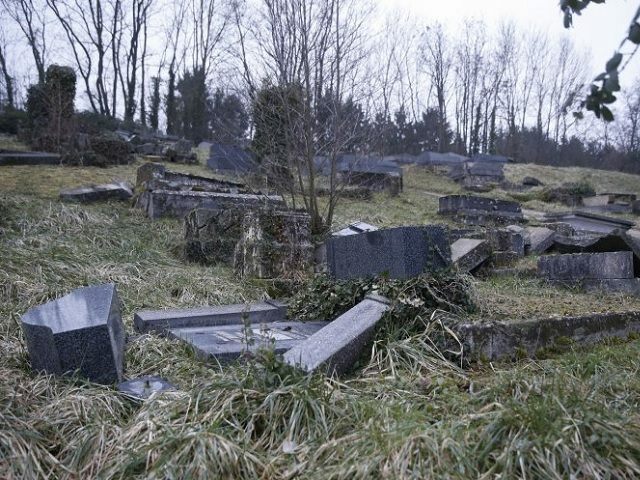 This is pretty soon after the antisemitic attacks in Paris that left even more innocents dead. It's now getting impossible to sweep European antisemitism under the carpet, but United States President Barack Hussein Obama is still trying to do so. This week, apropos of seemingly nothing, in an interview with Mathew Yglesias from the Vox.com website, Obama was asked about terrorism. In his answer the president said the terrorism threat is overrated. And that was far from the most disturbing statement he made. It's clear that the Obama White House is competing with FDR's disgraceful attitude towards Jews. Obama's continued support by many Americans is very worrying. Israeli Elections this year offers some good comedy. And I'm not talking about the unintended type that can destroy a career. Prime Minister Binyamin Netanyahu, Likud, and Economic Minister Naftali Bennett, Jewish Home/Bayit Yehudi, both seem to enjoy being in front of the camera and making fun of themselves. Americans Back Bibi over Obama! This is probably hard for the Israeli Left to accept, since they have been using United States President Barack Hussein Obama's antipathy to Prime Minister Binyamin Netanyahu as a campaign platform trying to paint him as hated in America, therefore unfit to govern Israel, but American polls show that a majority of Americans think that Obama should mend his ways and mouth and meet with the Israeli leader. Obama, with the confidence of his position as lame duck, nothing to lose has been showing more and more of his anti-Israel and lack of sensitivity to antisemitism. Besides his unrestrained anger at Netanyahu's acceptance of an invitation to speak to Congress, he incredulously (where was the staff to prep him?) referred to the terror attack in the Paris kosher supermarket in a way ignoring the facts that it was Muslims against Jews. Obama, in describing terror threats during a lengthy interview with the news site Vox, said the American people were right to be concerned "when you've got a bunch of violent, vicious zealots who behead people or randomly shoot a bunch of folks in a deli in Paris." What is happening with the slow-starting American Presidential campaign? There doesn't seem to be anyone who can roll back the anti-Israel atmosphere in the highest government echelons there.